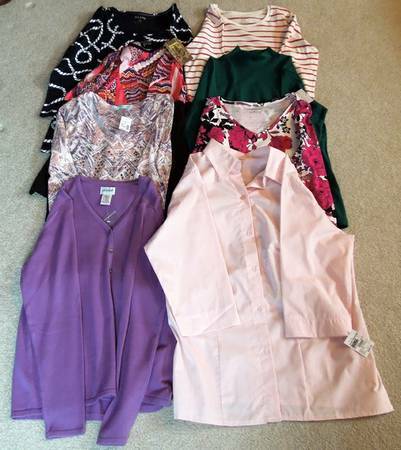 These beautiful tops are new with tags and new without tags. Brands are Faded Glory, White Stag, Croft & Barrow, Liz Baker, Maurices and Sacred Threads. Never worn and ready for a new home. Would make great gifts! Must purchase all of them for price given. Paid much more than selling price. Firm on price.